If Can-Am has become good at anything it’s looking at what upgrades riders are adding and making them into a factory package. In the southeast United States and other parts of the world, you aren’t riding unless you are up to your seat in mud, a hobby that can require major modifications to your ride. In 2011 Can-Am introduced their X mr package for the Outlander 800R ATV. The X mr package added many commonly found aftermarket accessories including a relocated radiator, snorkels, Gorilla Axle axles and Silverback tires plus much more. 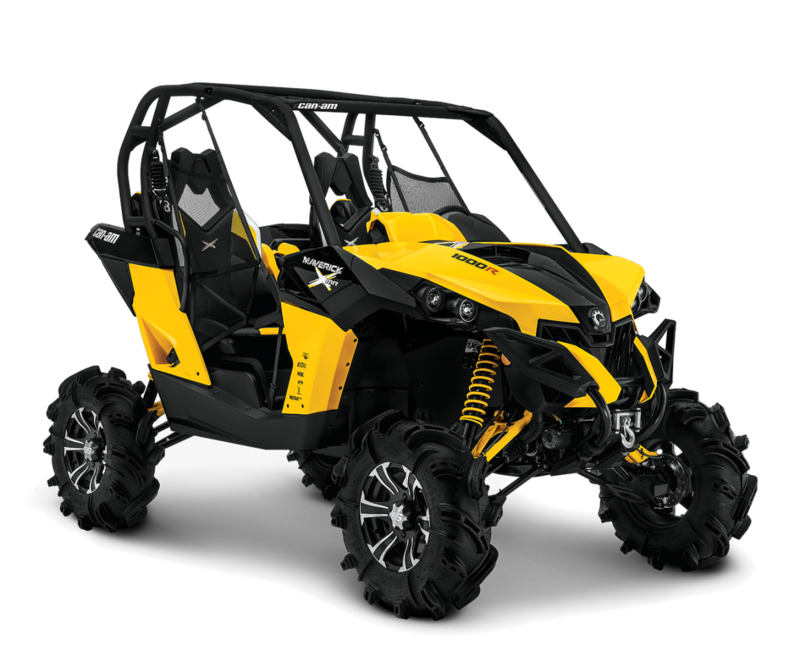 As the side-by-side scene has continued to grow and even surpass ATVs, it was only a matter of time before the X mr package became a part of the Maverick line-up as the 2014 Can-Am Maverick 1000 X mr. 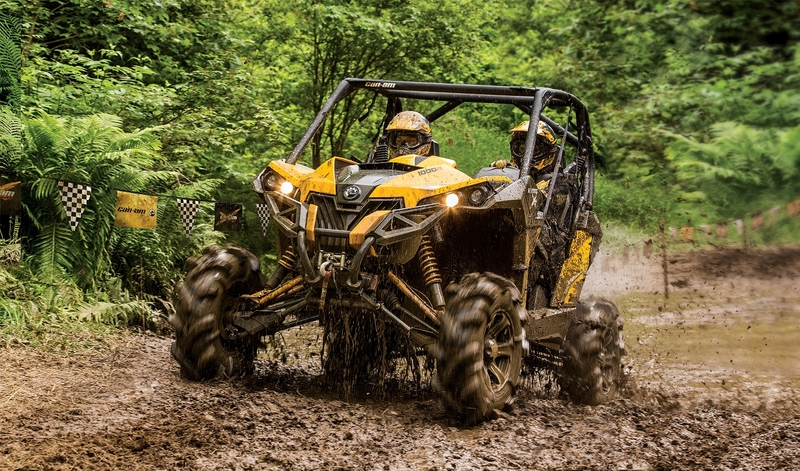 Naturally, the beginnings for the ultimate Can-Am 2-person mudder is Can-Am Maverick 1000r. With it’s 976cc, 101-hp, V-Twin engine it’s the biggest power plant in Can-Am’s arsenal and led the industry altogether until very recently. With all the bouncing around of rough terrain we’ve all experienced an unintentional throttle burst. Can-Am has added Intelligent Throttle Control (ITC) to help detect accidental jolts on the throttle. 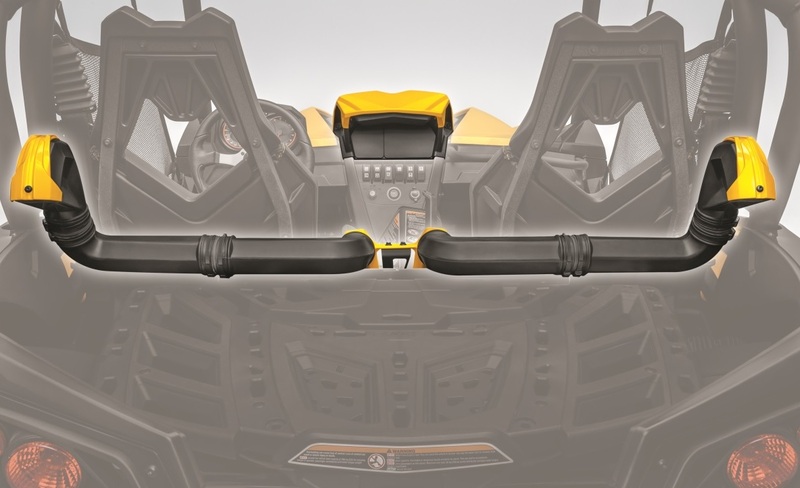 Also helping to keep you in control is Can-Am’s Tri-Mode Dynamic Power Steering DPS. 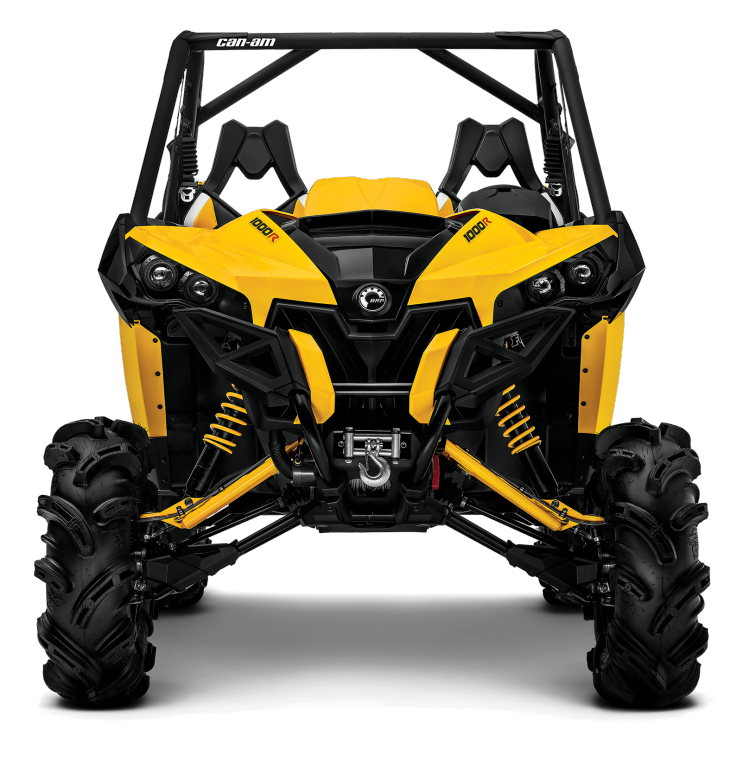 Finally, the engine’s intake, CVT intake and CVT exhaust have all been snorkeled to what Can-Am determined was the “highest as possible.” They are located at the top of the dash and behind the seats at roughly the same height. Since most aftermarket systems go well above that height, I see there still being some aftermarket upgrades. The Maverick X mr includes an industry first suspension system with an onboard air compressor supported FOX Air Assisted Piggyback shocks, offering real on the fly adjustments. The Air Controlled Suspension allows for 4 inches of height adjustment. Ground clearance at full height is about 15.5″, enough to put you in the bucket club (The bucket club is an elite group whose modified machines can straddle a 5 gallon bucket). The compressor also includes an auxiliary hose that can be used to inflate the 30″ Gorilla Axle Silverbacks (who would have guessed?). The Silverbacks are wrapped around 14″ cast-aluminum ITP wheels. Just in case that isn’t enough to get you through your swim hole, the Maverick X mr includes a 4,000 lbs. WARN winch. Of course all of this comes at a price. The MSRP of the Can-Am Maverick 1000 X mr is $21,499. It’s not a bad package of you look at the Maverick 1000 X rs and then add the upgrades. It also gets the serious mudder from showroom to mud pit without a few days of garage work. For more details on the Can-Am Maverick 1000 X mr as they emerge check back here or visit Can-Am Offroad at http://can-am.brp.com/off-road/side-by-side/maverick-1000-x-mr.html. For detail on other 2014 Can-Am Side-by-Side units released earlier this year see here. This entry was posted in ATV Review, Industry News and tagged 2014, Can-Am, Maverick, mud, X mr by charlie. Bookmark the permalink. The outlander mr has a relocated radiator. It also boasts a protective vented cover for the relocated rad and a larger cooling capacity (22kw).I am not reading that this maverick 1000 x mr has anything like that to support the mud riding. You can add all of those awesome mud riding accessories but if the radiator is the same as what I currently have in my commander and my maverick, you will be overheating shortly after a few mudholes. This machine is awesome but pricy if its missing anything around the rad area. Anyone know what if any has been done to the radiator on the maverick 1000 x mr?